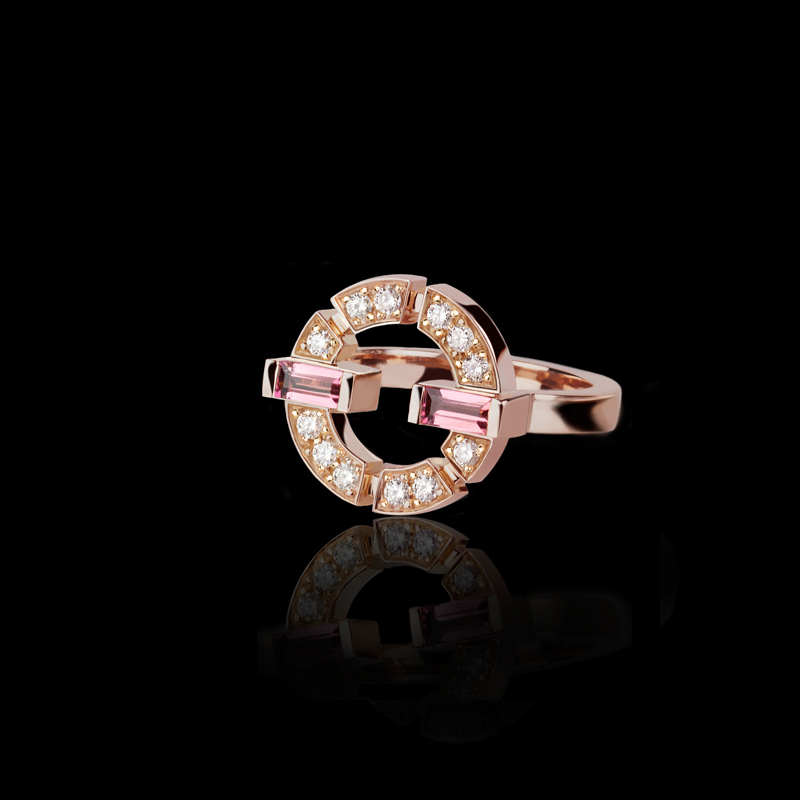 Regina 11mm ring with black ceramic inlay and Australian black sapphire in 18ct pink gold. Canturi Odyssey medium butterfly ring with full pavé diamonds on a micro diamond band. In 18ct pink gold.